​Mon, Tues, Thurs, Sat . ​It's time we did something about it! 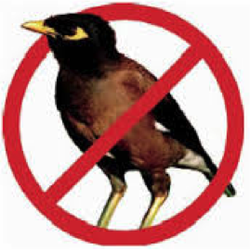 ﻿The Bayside Council, concerned at the growing depletion of smaller native birds such as wagtails, wrens and finches in the Bayside area, recognised that the aggressive, territorial Indian myna plays a major role in their disappearance and are providing funding for a trial to combat their proliferation.